At the bottom of the Garden: Forty and still learning social skills. Forty and still learning social skills. I did a session of volunteering last night at the Emerging Writer's Festival. It went well, I was able to be useful - which was the point of volunteering, really. For the most part I was stationed in the outside drinks and sandwiches section, answering questions about whether or not this was the event people wanted to be at, if they could take their drinks inside and where the toilets might be - nothing taxing. I was at a writers' event, the people attending were there because they are, in some way, interested in writing! So, what did I talk with them about? Shoes and the weather, to be exact. I'm kicking myself that I didn't ask if they were a writer, an editor, or a publisher. What was I thinking? Okay, to be honest, I wasn't really thinking, I hadn't made any kind of plan for talking with anyone. I'm so used to not talking with people at public events that I just didn't think to plan for it. I'm pleased with myself that I went. To be honest, after volunteering, I did wonder what I'd done that for. I made the Grumpy Old Man go with me to the city on Thursday to stake out the places I would be volunteering at - which helped build my confidence about getting out a doing it. Still the anxiety was there yesterday. The anxiety was there the whole time I smiled and answered people's questions and it only drained away when I got into the cab to come home - leaving me exhausted! I employ cognitive-behavioural strategies for dealing with symptoms of social anxiety, agoraphobia and also for attention deficit hyperactivity symptoms. They're not fool proof, but they help and using those strategies I can identify areas I need to work on - like having a plan for conversation based on the general interests of the people who are likely to be attending the same social event as myself. Do you suffer from social anxiety, agoraphobia or ADHD - how do you deal with the symptoms of your disorder? PS. The manuscript which won the Premier's Literary Award for an unpublished manuscript last night was about a man with Aspergers who decides it's time to find a wife, and creates a plan to make that happen. A friend of the writer - who was overseas - read an excerpt from the manuscript in which the main character, in part, raged against the idea of ASDs being some sort of 'fault', instead he said they were a 'variant' of human behaviour - I LOVE that! 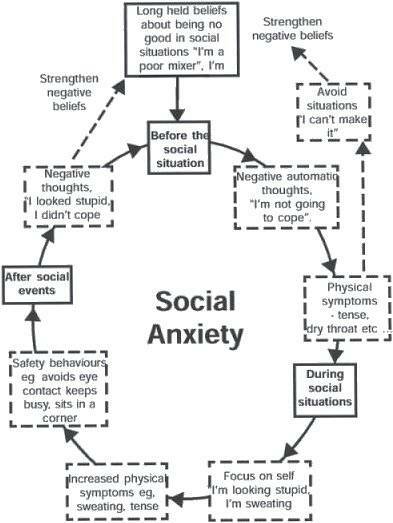 Oh yes, I have social anxiety. 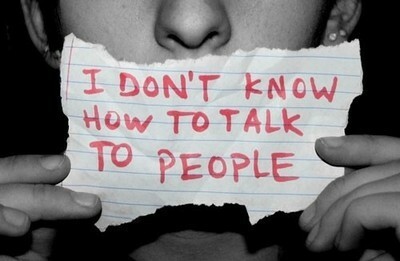 And for years, Ive been able to avoid dealing with it. Until now, when I have 2 kids in school and I regularly have to talk and discuss things with their teachers. It isn't easy! I lot of positive self talk. Working out what Im going to say beforehand.....chamomile tea LOL lots of little things. But yeah, i guess its good that I do have kids as without them I wouldn't have to face it as much, I could just hide away at home!